Before you begin working your way to foreign language fluency, it helps to understand the culture behind the language you’re learning. After all, language exists to help a group of people express their ideas and beliefs. Italy is an old country with a rich history and culture. As you begin your Italian language program, gaining a strong grasp on this history, the values, and the etiquette will help you rapidly achieve success. 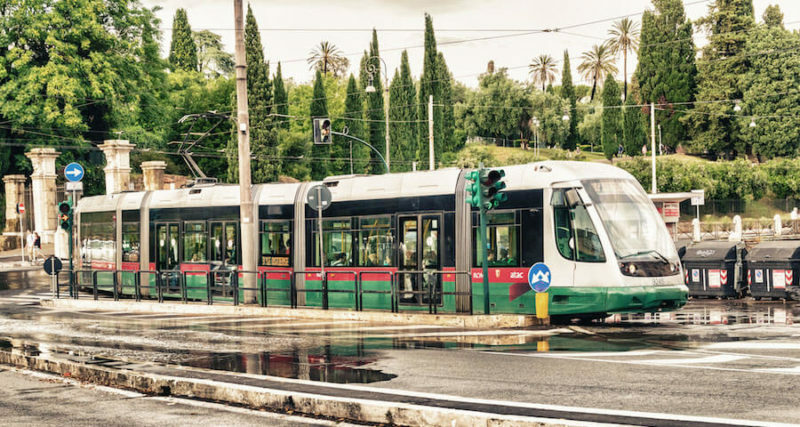 In particular, it’s helpful to know how to get around in Italy if you’re ever planning on visiting as public transportation, while efficient, can be challenging to figure out at first. Taxis are a common way to travel in Italy. However, they are generally not hailed on the street as much as in North America. They line up at taxi stands,especially in Rome, because this is how taxi drivers prefer to operate. In most areas, taxis are white and should have a taxi sign mounted on the roof. A more efficient practice is to call for one ahead of time before leaving the hotel or restaurant. Be aware, however, that it is customary for a taxi to start its meter when dispatched for a pickup, not at the time of pickup. While the fare is metered, there are numerous up charges that can create confusion for tourists and even be used for scams. Expect to pay extra in addition to what is shown on the meter for a variety of factors, such as traveling on a Sunday or holiday, traveling after 10:00 pm, loading luggage, leaving town, heading to the airport, or going a long distance. Tipping is not mandatory in Italy. When locals do tip a driver, they generally just round up the fare to the nearest euro and tell the driver to keep the change. However, for tourists, if the driver assists with luggage, tipping more should be a given. Taxi drivers in Italy are notorious for driving fast and aggressively. Driving in Italy in general is quite aggressive. Visitors should take care when on foot in congested areas and be careful crossing streets. As with many things in Italy, the train systems are somewhat convoluted and service options vary from region to region. Many large cities are linked with high speed trains. These include the Pendolino, which is a first-class train that runs mainly from Milan to the south through Rome. The Pendolino and Eurostar Italia trains are the fastest for getting from one city to another. Both require advance reservations. Tickets for the high speed, long distance trains can be purchased in advance of travel to Italy, but they will cost more. There are generally a variety of discounts available though, so checking with a travel agency that is familiar with the system can be a good idea. Once in Italy, tickets can be purchased at the station, either at the ticket windows or from a machine. Tickets need to be purchased in advance of boarding and validated by pinching it a machine before getting on the train. Boarding the train without a ticket or with a ticked that has not been validated will result in a fine and a higher priced ticket. For most trains, it is not possible to buy a ticket on the train; even when it is possible, a twenty percent surcharge will be applied to purchase a ticket while already on the train. Reserving seats is wise. However, once the train leaves the station, other passengers may sit in any unoccupied reserved seat. There are lines of coach buses that provide transport between cities. There are also lines that offer guided tours. Traveling between cities this way is inexpensive. The regional and city tours are a convenient way to see a specific area. They also give a nice overview of the area to someone who has newly arrived and is not yet familiar with a city. “Round the City” tours are a good introduction to a new town. These are worth looking into if a visitor wants to get outside of the city they are staying in and see the region. For example, from Rome one could get out to see the sights in Pompeii and around Sorrento.